Welcome to Sword & Barrow, the official web site for Mark Smylie’s new fantasy novel The Barrow and its planned sequels, published by Pyr, as well as for his original comic book and graphic novel series Artesia, published by Archaia Entertainment. The Barrow is a stand-alone novel, so no previous experience with the Artesia series is necessary to enjoy the novel, but they share the same setting, many of the same characters, and are part of the same overall story. 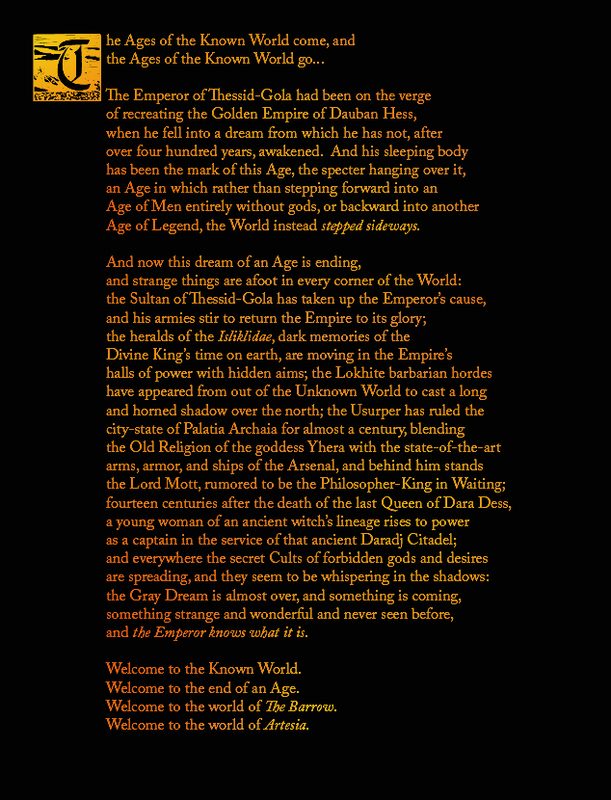 On this website you will find information about The Barrow and the graphic novels in the Artesia series, some of the major characters that appear in both, the setting of the Known World, a roleplaying game and planned board game that accompany the books, galleries of maps and images, news and updates (as they appear), and more.